With Music: The Art of Listening, students practice engaging with music critically, and with an appreciative ear. 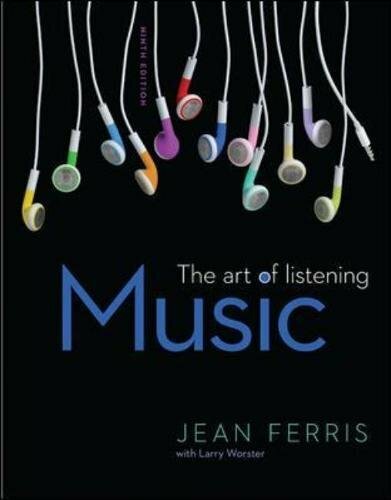 Presenting music within a broadened cultural and historical context, The Art of Listening encourages students to draw on the relationships between: music and the other arts; musical characteristics of different periods; as well as Western music and various non-Western musics and concepts. Learning to appreciate music is a skill. Together with McGraw-Hill's Connect Music, The Art of Listening helps students develop that skill by encouraging them to be active and thoughtful participants in their own listening experience. Whether listening through headphones or at a live performance, The Art of Listening will develop students' ability to hone the skills required to listen to, reflect upon, and write about music.